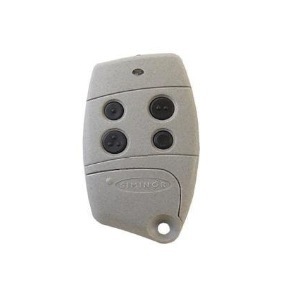 Enjoy effortless controlled access to your electric gates and garage doors with SOMFY KEYTIS-NS-2-RTS. It will let you activate your automatic devices in the easiest way possible! You just need to follow the instructions laid out in the user manual! 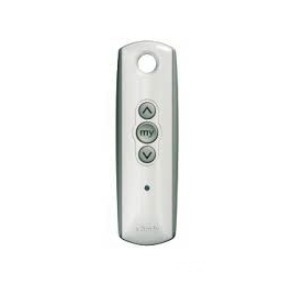 SOMFY KEYTIS-NS-2-RTS is programmed on a self learning mode to activate many devices including your electric gates and garage doors. 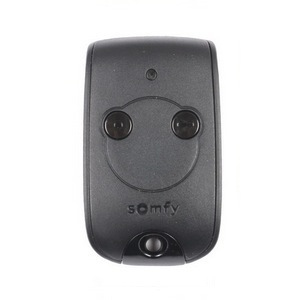 SOMFY KEYTIS-NS-2-RTS comes in a black housing equipped with 2 black buttons offering you the convenience of monitoring your devices easily and effectively. It works with CR2430 at a frequency of 433.42 MHz. 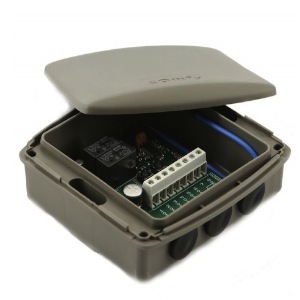 SOMFY KEYTIS-NS-2-RTS is ergonomic and user-friendly, tailored for residential use. SOMFY KEYTIS-NS-2-RTS is a new model working with 433.420 MHz. It is not compatible wth the old cream-coloured remote control (433.920 MHz). SOMFY KEYTIS-NS-2-RTS replaces Somfy Keytis 2 RTS.